New year, new you, new things you need to buy. Sticking to New Year’s resolutions is hard, especially when you’re thinking of giving up some of your favorite things, like wine (looking at you, dry January) or shopping (looking at you, conscience). So, in an effort to start 2018 on a great foot (preferably velvet studded platform Miu Miu boots), why not resolve to shop smarter, and only buy things that will result in the style transformation you’ve been dreaming of? There’s no better time than the present, which is also coincidentally the beginning of the New Year and the tale end of serious sale season, so go ahead and get that piece you’ve been wanting (did I mention those Miu Miu boots are on sale?!). It’s also the perfect time to start over and create a whole new aesthetic. New year, new you, right? (Same bank account, but whatever.) Here’s some inspiration to get you started. 1. 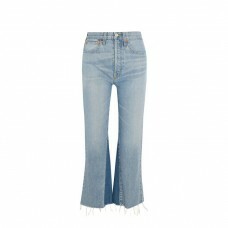 Re/Done Originals High-Rise Flared Jeans: I have just about every crazy thing you could possibly dream of in my closet. A ruffled kids’ leotard from the ’70s that I wear as a top? Check. A totally sheer purple dress that I prefer wearing inside out? Of course! Wooden heels with plastic details that are impossible to walk in? Love them. But as much as I adore these pieces, I do realize that I’m *really* missing the basics. In the spirit of Alexa Chung, I’m going to be investing in pieces that look good with everything: vintage tees, Converse, and a good pair of jeans. 2. Susan Alexandra Tiny Joys Necklace: When I was little, I wore different earrings every day, stacks and stacks and stacks of bracelets up to my elbows on both arms, and so many necklaces that my mom was worried they would get tangled and choke me at night. I don’t know what it is about getting older, but I’ve gotten so lazy with my arm and neck parties. Not this year! I’ve gotten some more ear piercings, started organizing my jewelry box, and borrowed (or stole—depends on how you look at it) some vintage chains from my mom. 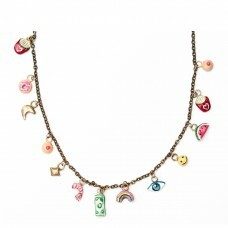 All that’s missing is this insanely cute Susan Alexandra Tiny Joys Necklace, which coincidentally represents other things I’d like to have more of this year: shrimp, smiley faces, money, and rainbows. 3. 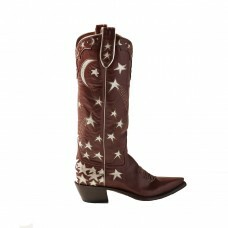 Miron Crosby Margretta Caramel and Champagne Cowboy Boot: I can’t think of a single word to describe my style. I’d like to think that’s because it isn’t really about a look, but the feeling I get when I see something that just makes my heart sing (and the voice inside my head that whispers, “Get it!”). I do, though, tend to gravitate towards a time and place, specifically New York in the ’70s, ’80s, and ’90s, channeling everyone from Edie Sedgwick to Patti Smith to Chloe Sevigny. But recently I’ve been obsessed with the cowboy look, which, as a native New Yorker, feels so out of place. Maybe it has to do with my love of this pair of cowboy boots by John Galliano or these cuties by Miu Miu. Or this photo of Chloë Sevigny in my dream pair of blue LRS thigh-high cowboy boots. Whatever it is, I’m embracing it in 2018, and these Miron Crosby boots are too pretty to pass up. 1. 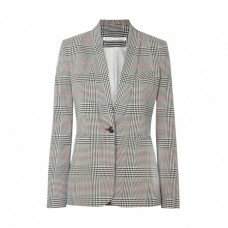 Veronica Beard Eva Checked Blazer: Maybe it’s the fact that Phoebe Philo is leaving Céline, but suddenly all I want to wear is structured, minimalist menswear. My wardrobe already skews masculine—lots of button-ups, slouchy pants, my boyfriend’s sweatshirts—but I still don’t own a proper blazer to ramp up my new obsession. This checked number from Veronica Beard is the perfect place to start. 2. Anine Bing Taylor Over The Knee Boots: I have never, EVER purchased a pair of over-the-knee boots, because I’ve honestly never felt like they were a practical addition to my closet. More than likely I’ve just not figured out how to style them. But after seeing legions of cool girls rocking them with leather mini skirts and Gucci hoodies, I think it’s time I invest in a pair of my own. 3. Courrèges Leather Effect Mini Skirt: Like I said, a leather (effect) mini is in order. I’m not a huge skirt wearer, but don’t we all just want to be a Courrèges girl? 1. Fracap Leather High-Top Sneaker: Like many New Yorkers, my day-to-day look often consists of black, black, and more black. While you’ll usually never find me in anything pink, Gigi Hadid has definitely inspired me to give the color a try, and these boots seem like the perfect way to ease more color into my wardrobe this year. Plus, I can hike in them, right? 2. 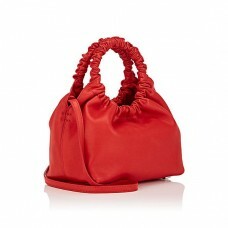 Sandy Liang Bean Bag: One of the trends I’m most excited to invest in this year is fur. I’ve been crushing on Sandy Liang’s pieces ever since fellow editor Tara Gonzalez convinced me that I need every single fluffy thing she designs, and I really can’t disagree. I mean, the shearling, the leather, the piercings…this bag has it all, and I need it. 3. Kim Shui Multi Fur Vinyl Jacket: This coat combines my two New Year’s style resolutions into one, and who doesn’t love a colorful, fluffy coat? 1. Kara Off White Small Backpack: Although wearing a backpack can bring back not-so-pleasant memories of carrying heavy textbooks that would literally weigh me down in grade school, this small Kara backpack only gives me ideas for fun future spring outfits. I’d like to ditch all of my one-shoulder bags and opt for a mini backpack that forces me to only carry the most important everyday essentials. 2. C/MEO COLLECTIVE Another Lover Long Sleeve Dress: I know my style isn’t exactly masculine, however, I tend to shy away from dresses. This C/MEO COLLECTIVE dress can totally change this about me, as I would not resist wearing the perfect pleat and button details. So easy to style, the dress can be paired with any kind of footwear including ankle boots for a fancier look or sneakers for a more casual appearance. 3. 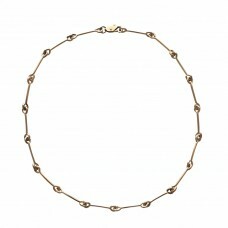 Laura Lombardi Jewelry Treccia Necklace: Understating can sometimes be overrated. Although I absolutely love my everyday minimalist-style jewelry, I’d like to wear more of it. Laura Lombardi’s Treccia Necklace would beautifully layer with my everyday chain and still make me feel like I put in a little more effort into accessorizing my overall look. 1. 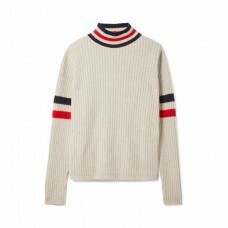 The Elder Statesman Odyssey Striped Ribbed Cashmere Turtleneck Sweater: Recently, I’ve decided I want to “simplify” my wardrobe, sticking to somewhat of a uniform, but with pieces that are special and stand out. This ribbed turtleneck from The Elder Statesman is casual, clean, and warm—a vibe I’m currently drawn to, which the stripe details give an extra something. 3. 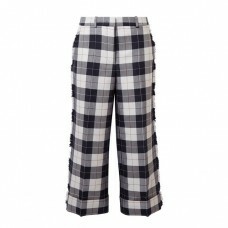 Thom Browne Cropped Frayed Checked Wool-Blend Pants: And would these pants not pair well with literally everything?! 1. 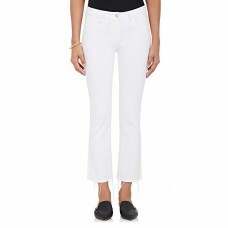 3x1 White Jeans: I’m ready to start wearing white. To me, white pants have always been the ultimate New York status symbol: It basically implies you don’t have to sit on the subway, which means you’re being chauffeured everywhere. While I most certainly still take the subway (it’s usually faster than a car anyway), I’m willing to forgo a seat in order to rock some porcelain denim. 2. The Row Double Circle Small Leather Bag: One of my resolutions is to stop hauling my laptop around everywhere. This means I can retire the giant nondescript tote bags I’ve been lugging to and fro, and bust out an eye-catching statement purse—something I haven’t done in a long time. 3. 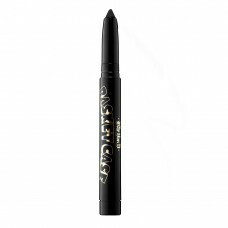 Kat Von D Basket Case Anti Precision Eyeliner: I gave up eyeliner a few years ago in an attempt to look younger, and while that does actually work, I miss the style. I’m going back to dark liner for my daily look, but this time I’m going one step further and making it ultra dark and smudgy—even for an 8:00 AM breakfast. 1. 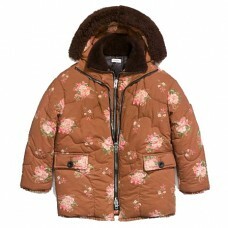 Coach Oversized Eiderdown Printed Puffer Jacket: You know that person who chooses to live in NYC yet complains incessantly about winter every single year? Hi—it’s me. Cold weather is not my thing, and neither are 99.9 percent of the puffy coats out there to ward it off. I survived last winter without one, but in hindsight, that wasn’t a great move. This year, I’ve vowed to get over myself and buy a puffy coat, and I can’t believe I’m saying this, but I actually want to wear this one. How great is that floral design? How good are those shearling details? I definitely need this. 2. Cuyana Mini Tassel Bag: A lot of the handbags I love cost more than my rent, which means that I admire them from afar and keep it moving with the ones I already have. 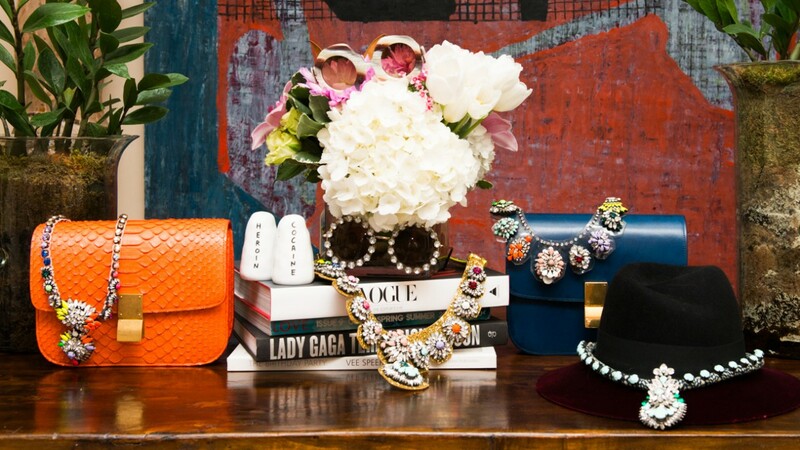 I would like to own a few more, though, so lately I’ve been searching for affordable bags that only *look* expensive. 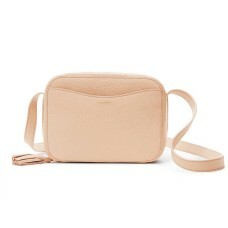 I’m currently eyeing this one—partly because it’s a great everyday bag, and also because Cuyana does monogramming, which I’m kind of obsessed with. 3. Elie Saab Silk Crepe de Chine Flared Pants: True story: I don’t own a single pair of pants that aren’t jeans. I’ve always preferred skirts and dresses, and on top of that, I’m 6'1"—a height that makes shopping for pants a complete joke. 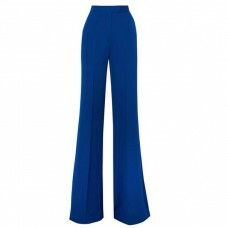 My mini dress-heavy wardrobe, however, is in dire need of some sophistication, and these blue pants—which look like they’re actually long enough for me—are the perfect pair to start with.